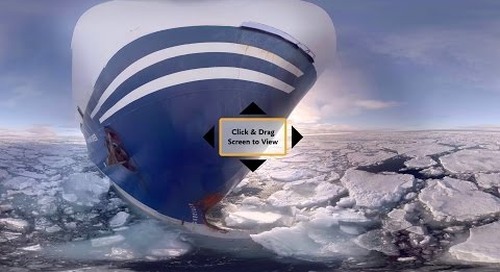 You'll find a transcript of our Navigating the Arctic webinar below. Today, we’re exploring your different Arctic expedition options. 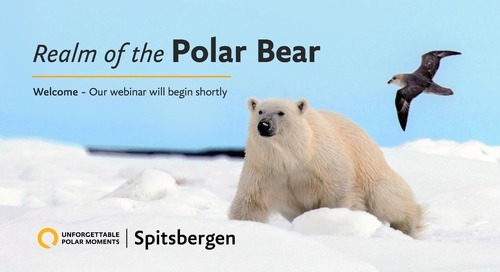 This webinar will help you get the lay of the land and understand what’s out there and how it meets your travel needs, particularly in and around Greenland, Baffin Island and Spitsbergen. SLIDE: Where do you want to go? What do you want to do? In my role as a Polar Travel Advisor, I spend a lot of time fielding questions about the polar regions from interested travellers. And from this experience--we’ve noted that people like you might fall into one of a few categories--depending on how much research you’ve done so far. Why should I go to X destination? As we explore the most popular Arctic destinations today, we’re going to do our best to answer these for you. SLIDE: How is the Arctic different from the Antarctic? To start though, let’s break down the basic differences between the Arctic and the Antarctic, just for context. Most of the Arctic is water, surrounded by land mass. It doesn’t belong to single country, but is a massive region at the top of the world spanning one-sixth of the area of the earth. The Far North has been inhabited for thousands of years, so there are fantastic opportunities there for you to explore and learn about Arctic culture. ●The Antarctic on the other hand is a land mass surrounded by water. ●Antarctica offers little opportunity to experience culture, as it is uninhabited by humans. Together, the Arctic and Antarctica make up the polar regions, but today we’ll focus on the unique experiences you could have travelling to the Arctic. 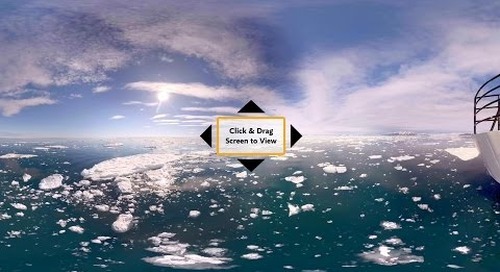 SLIDE Arctic Region Overview: The Arctic: Where and what is it? Only four million people live north of the Arctic Circle at 66 degrees north, typically in small communities spanning Canada, Denmark, Greenland, Finland, Iceland, Norway, Russia, Sweden and the United States. The most popular destinations among Arctic travelers include Greenland, Spitsbergen, Baffin Island and other parts of Canadian Arctic, the North Pole and Iceland. 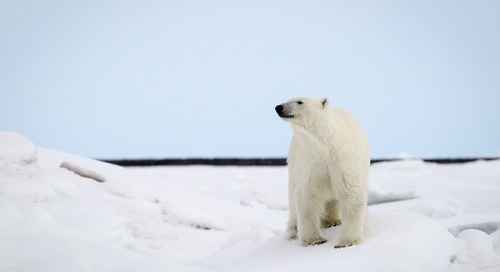 Spitsbergen: is known as the realm of the polar bear, because it gives you the greatest opportunities to see polar bears or other Arctic wildlife. Baffin Island: is known for its wild landscapes and incredible opportunities to visit Inuit communities, experiencing Inuit art and culture. Greenland: is known for its vast natural elements--from national parks to deep fjords, and its diverse cultural history. SLIDE: Why go to Spitsbergen? 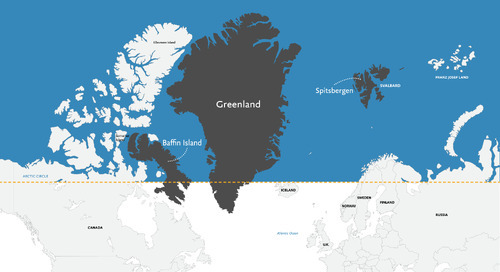 Let’s start with Spitsbergen--the largest island in northern Norway’s Svalbard archipelago. 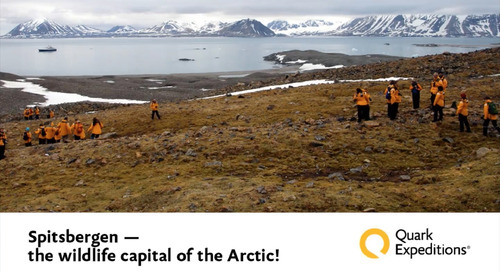 It’s really for you if you’re keen on seeing Arctic wildlife--after all, it’s known as the realm of the polar bear! 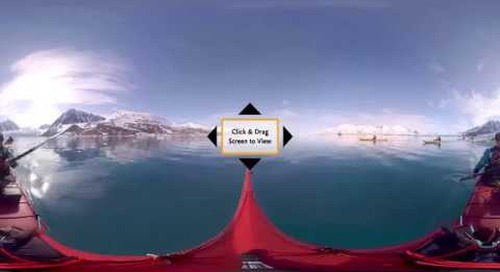 SLIDE What can I see and do in Spitsbergen? Well, in addition to possible polar bear sightings, other common species you could see on and around this island include whales, walrus, seabirds and reindeer. 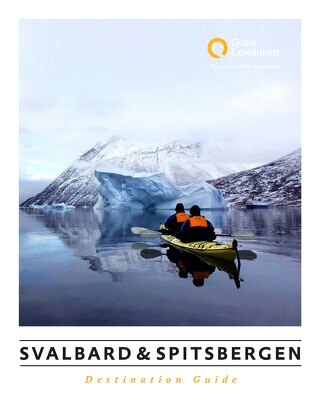 ●Get active and explore Spitsbergen by snowshoe or kayak, or by hiking and Zodiac cruising. 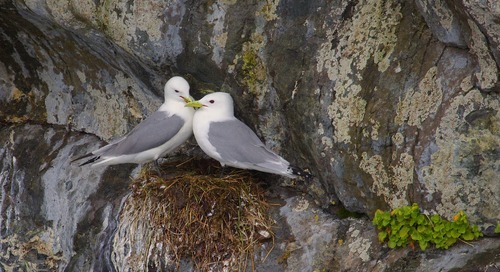 ●Take advantage of the incredible summer lighting conditions to photograph everything from fjords to glacier fronts to towering cliffs, sometimes teeming with thousands of seabirds. SLIDE When’s the best time to go to Spitsbergen? 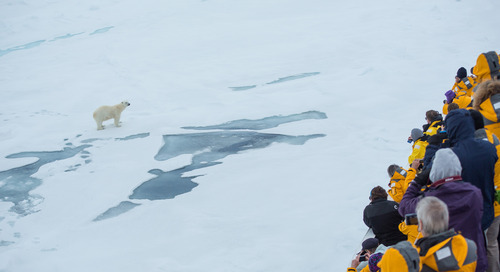 If you have your heart set on seeing polar bears, you’re going to want to visit in June or July. 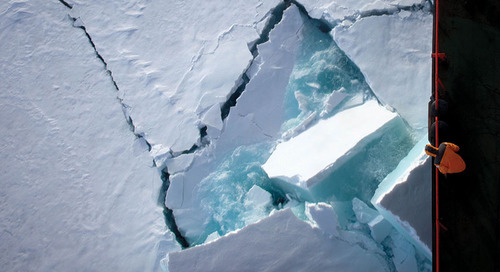 There’s more ice earlier in the year, and more polar bears are typically out hunting. BONUS: Why would I choose a longer or shorter Spitsbergen itinerary? Once you’ve decided that Spitsbergen is the destination for you, the next question we typically hear is “how long should I go for?”. We offer a variety of trip lengths, from potential circumnavigations of the island to the “highlights reel” version. On a longer itinerary, you’re going to have more opportunities to see wildlife, and you’ll get to explore more islands in the archipelago. SLIDE: Why go to Baffin Island? If you’re seeking an authentic experience that combines the remote landscapes of the Canadian North with cultural experiences (like visiting Inuit communities) and opportunities to glimpse Arctic wildlife, Baffin Island is for you. SLIDE What can I see and do in Baffin Island? Stepping back in time to the days of great Arctic explorers like Sir John Franklin, while retracing his historic route through the Northwest passage. 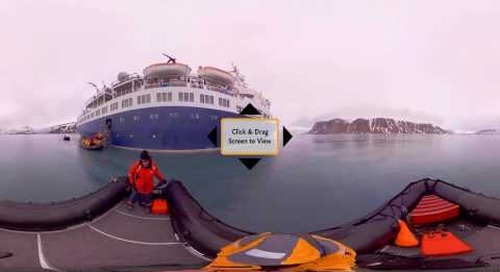 Experiencing Sam Ford Fjord: a spectacular big wall playground in the Canadian High Arctic. Zodiac cruising, hiking and kayaking, on the lookout for walrus, whales, muskoxen, lemmings, wolves and wildlife. SLIDE When’s the best time to go to Baffin Island? Our expeditions visit Baffin Island in late August and September, when there’s less ice, which makes it easier to reach seldom-visited and remote destinations like Sam Ford Fjord and Pangnirtung. BONUS: How are the two Baffin Island itineraries different? 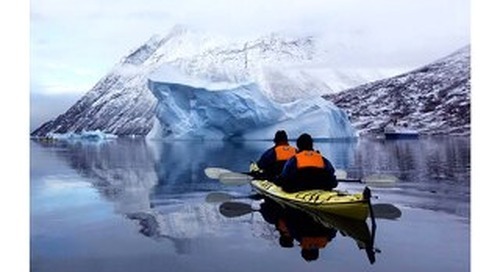 ●Our Iceland, Greenland, Baffin Island voyage offers the most varied experience in terms of cultural, natural and geographical highlights, plus it gives a great in-depth voyage around East, South and West Greenland. ●Our Canada to Greenland voyage offers a more in-depth exploration of the coast of Baffin Island, before crossing over to Greenland. 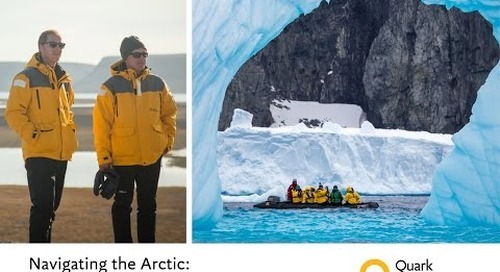 ●If you really want to see it all, you can do these two itineraries back to back, for the most in-depth exploration of the Canadian Arctic and Greenland! SLIDE: Why go to Greenland? The largest island on the planet, Greenland is immense in every way -- this is where you’ll find the world’s biggest national park, and the largest fjord system in the world. In addition to being a real paradise for nature-lovers, it also offers unique Viking, Norse and Thule history for those interested in seeing ruins and learning about ancient cultures. SLIDE What can I see and do in Greenland? 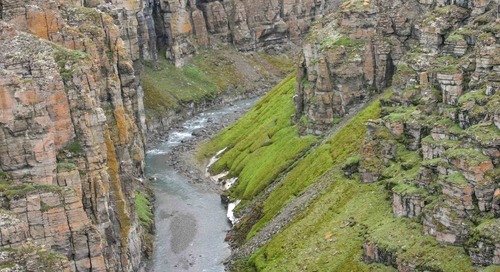 Enjoy incredible tundra vistas and while hiking, zodiac cruising or kayaking. And if you’re lucky--catch a glimpse of the Northern Lights. You may also spot muskoxen, whales and seals while out exploring. SLIDE When’s the best time to visit Greenland? Since darkness improves the visibility of the Northern Lights, we recommend travelling to Greenland in September or October, with the cooler and darker conditions happening nearer the end of the season. SLIDE Where can I go in Greenland? West Greenland is home to the Ilulissat Icefjord, where you might see icebergs freshly calved from massive glaciers. You’ll meet friendly locals and have the opportunity to take spectacularly scenic photos on hikes in this area. East Greenland is where you can visit the world’s largest national park and explore the largest fjord system on the planet. South Greenland is the place to go when you want a chance to relax in a hot spring at Uunartoq, or really immerse yourself in Norse and Viking history. SLIDE: The Arctic: Why should I go? 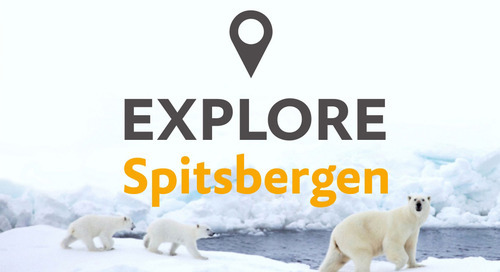 ●Spitsbergen: for the best wildlife sighting opportunities, head to Spitsbergen. 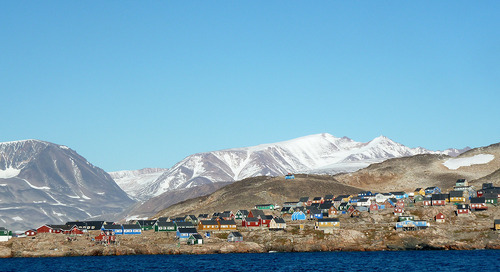 ●Baffin Island: For authentic Inuit art and immense Canadian Arctic tundra, cliffs and icebergs, go to Baffin Island. ●Greenland: For an incredible nature-lover’s paradise, with fjords, vast wilderness and Northern Lights, go to Greenland. 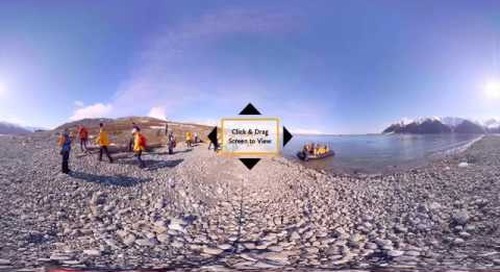 SLIDE: The Arctic: What can I see and do in the Arctic? ●In Greenland, you can cruise the Southern Coast to visit the hot springs and fjords, or head up for some hiking in the world’s largest national park in Eastern Greenland. Western Greenland is home to the fantastically photogenic Disko Bay--great for you photographers! ●The Spitsbergen experience is all about exploring the islands in search of a truly diverse range of wildlife, whether you choose a shorter “highlights” expedition, or try for a complete circumnavigation. ●On Baffin Island’s northeast coast, you can explore Sam Ford Fjord, the Cumberland Sound whaling station and national historic site of Kekerten below Pangnirtung, and haunting Monumental Island just off Baffin’s southern shores. 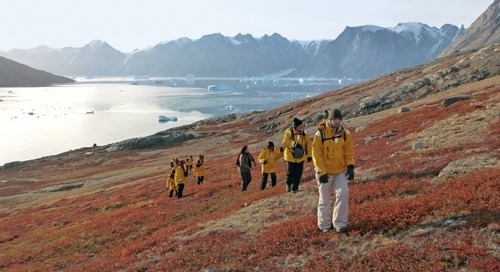 The Arctic: What’s the best time to see it and why? ●Head to Spitsbergen in June or July for the best chance to see polar bears, and later in the season to make more remote landings as the sea ice recedes. ●Visit Baffin Island in August or September, when the reduced pack ice makes it easier to access Sam Ford Fjord and Pangnirtung. ●Go to Greenland in late August, September for cooler temperatures and more vibrant Northern Lights. SLIDE: How do I get there? ●The embarkation point for Spitsbergen voyages is Longyearbyen, which is accessible by flights from Oslo. ●Some of our Baffin voyages leave from Ottawa, and others leave for Reykjavik, both international airports. ●Our Greenland voyages also leave from Reykjavik. SLIDE: Who will be leading this expedition? People also tend to be curious: just who will be leading us on this epic adventure? This could be especially relevant for those of you who have travelled with us before, as we often hear that passengers would love to travel again with the same expedition leader! ●You’re in good hands with an Expedition Leader like historian Hadleigh Measham, a biological sciences graduate and certified NAUI Divemaster with over 50 polar expeditions under his belt. ●Or you might have Historian John Rodsted, whose vast experience is difficult to summarize, but includes close to 180 expeditions, 30 years as a commercial photographer and photojournalist, 3,500 skydiving jumps, film and TV stuntman credits. ●You might have Solan Jensen, who’s been a kayak guide and expedition leader for over a decade, but has also worked as a wilderness ranger, boat builder, and marine mammal emergency responder. Can you imagine spending a week or two exploring the Arctic with guides of this calibre constantly monitoring conditions and planning the most rewarding excursions? You know you’re safe, but you’re also in the most experienced and knowledgeable hands, having the trip of a lifetime. SLIDE: Why choose a Small-Ship Polar Expedition? Okay great, so now that we’ve explored the destinations, there are a few general Arctic questions that commonly come up as people are thinking through their trip. Maybe a few of these questions are popping into your heads, so let’s talk through some of them. 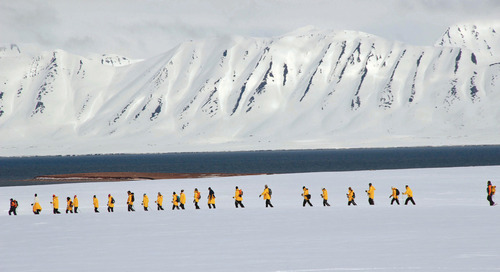 The first one is: Why choose a Small-Ship Polar Expedition? Off-the-boat activities are more efficient in smaller groups, giving you more time to enjoy Zodiac cruises and shore landings! There’s a higher ratio of staff to guests--which has obvious safety benefits, but also is great for those of you who are keen on having ad-hoc opportunities to pick the brains of the expedition team, to learn more about the region, wildlife and history. Don’t forget...our PTAs are always here to support you, whether you have specific questions on itineraries or would like to learn more about a destination. We’ve all been to the polar regions (and we are extremely passionate about them) and can provide tips and advice to help you find your perfect polar expedition for your client. I have a few resources to share with you, to help answer any questions and give you the tools you need to plan your own Arctic trip of a lifetime. Our website is a great resource to understand the itineraries we offer across all the destinations we talked about today. Also, you should check out our blog, where you’ll find great stories, photos, videos and interviews with past passengers who have travelled with us to the Arctic. We also have a great Arctic Cheat Sheet that recaps the details of what we discussed today. Feel free to reach out to myself or one of our polar travel advisors with any questions -- We’ve all been to the polar regions (and we are extremely passionate about them) and can provide tips and advice to help you find your perfect polar expedition!